it started with the babies in the kanga’s (as he so affectionately calls his kangaroos) pouches. He tried to get them out, to take care of them because he said, the baby was crying. 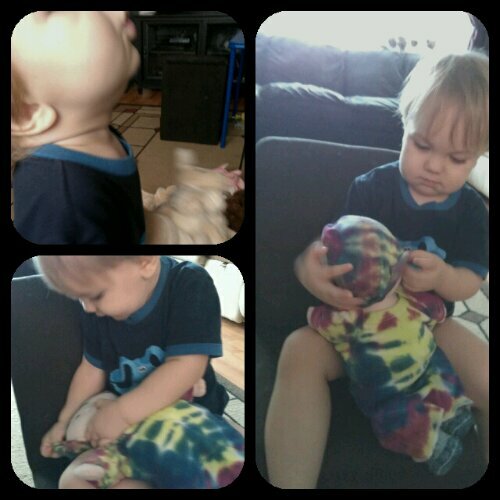 And it ended up with his own baby (doll) that now wears the outfit we dyed for him to come home in yet he was too large for it.